A lot of people don’t think about roses as a food source but around here, they are an important part of our perennial food landscape. We use both the petals and the hips for culinary, health, soap and skincare recipes. I’ve tried a variety of methods and removing the tiny hairs from inside the hip can often be tedious. I’ve found a really easy way to dry rose hips while removing the hairs and wanted to share the technique. It’s a big time saver! Through the summer we will collect and dry rose petals. When autumn arrives the rose hips on our rose bushes start turning from green to a delicious ripe red. The early morning after the first frost we head out with our pails to collect the rose hips to make jams, jellies, syrup, wine and tea. There is a small window of time to collect the rose hips in their prime. It is said that a light frost will sweeten the rose hip but not long after a frost the hips begin to decay. These rose hips are not read to be picked. When these rose hips turn red they are ready! Its a bit of prickly work to harvest rosehips but it’s well worth the effort. They are a nutrient dense super food rich in vitamins, minerals (especially vitamin C) and antioxidants. 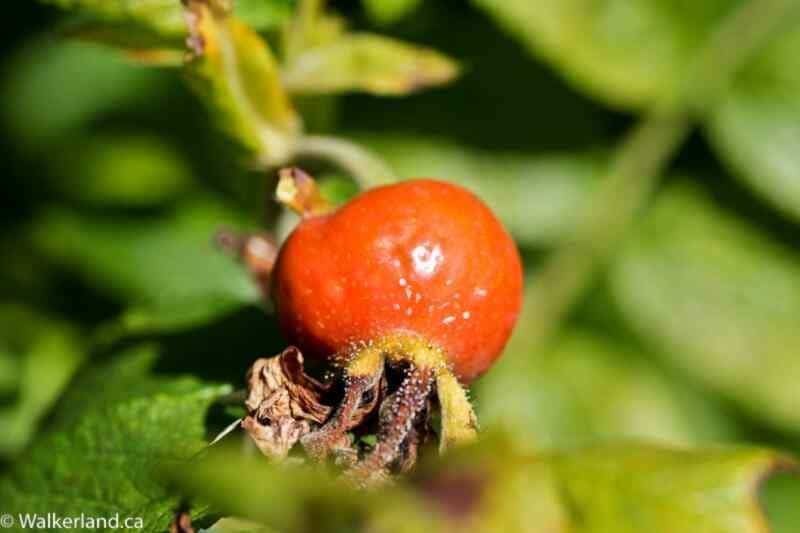 Rose hips don’t have much flesh beneath their skins. They are filled with tiny seeds covered with silky hairs. The skin of the hip is what you want to dry and preserve. It’s where most of the nutrients are.The hairs are extremely irritating to the skin and throat so they will need to be removed. Select healthy and bright hips for harvesting. They are very easy to pluck from the rosebush just be sure to wear a thick jacket and gloves if you have to reach far into dense rose bushes. 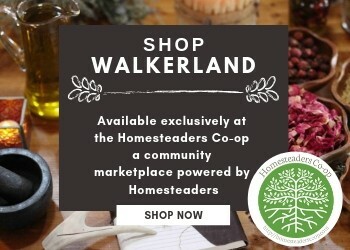 Also be sure you are gathering hips from rose bushes that have not been chemically treated. Harvest your rose hips and rinse them well. Lay them out to dry. Once dried, remove the stalks and stems (tops and tails). Some people will suggest cutting them in half and hulling out the insides before drying. I’ve done this and in my opinion this is a very time consuming, tedious and unnecessary step! Dry the rosehips. 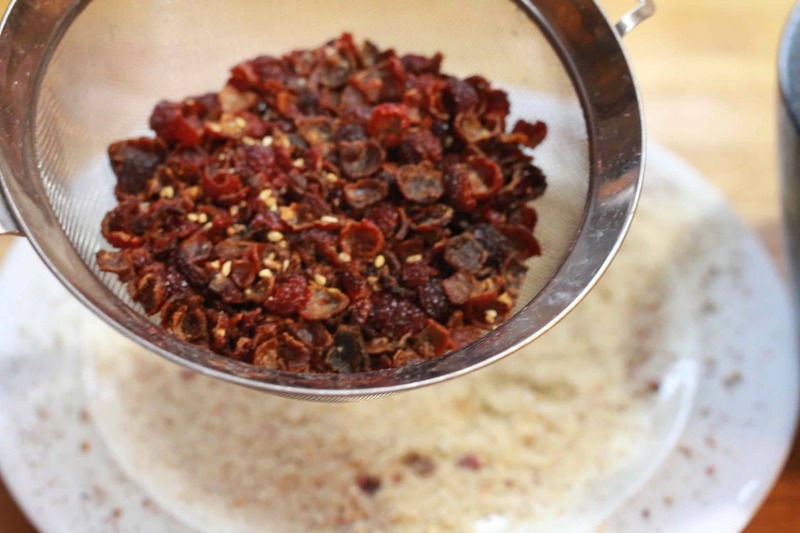 Place the hips in your dehydrator and follow the instructions for drying. It depends on how large your rosehips are and can take 6-12 hours to dry. check them periodically and continue to dehydrate if necessary. 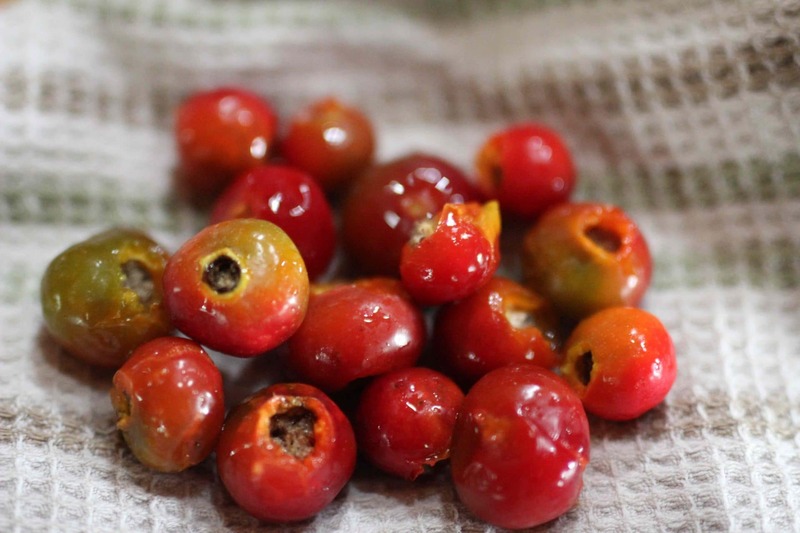 If you don’t have a dehydrator you can string the rose hips up by using a needle and thread to make a rosehip chain. Hang these chains somewhere dry and preferably dark. You can also spread them out on a mesh screen to dry. Check often and turn on occasion. 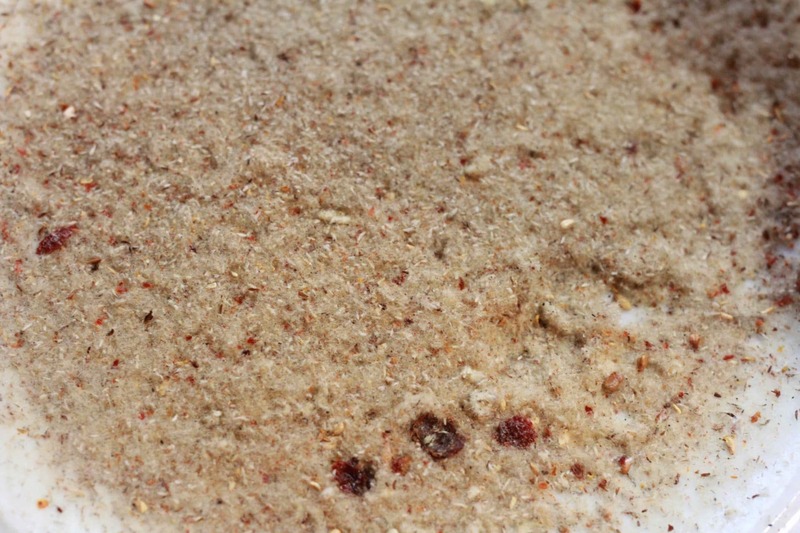 Be sure that the location is dry as humidity can cause mould. It can take a week or longer until the hips are sufficiently dry depending on your climate. 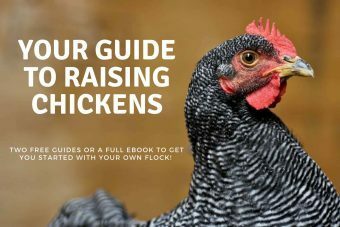 They are ready when they have shrivelled up and feel completely dry when you pull one apart. 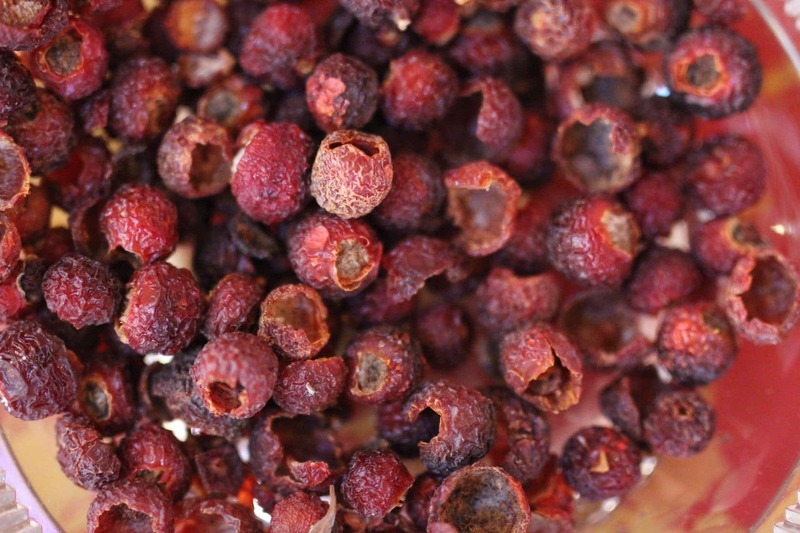 When the rose hips have dried, this is what they look like. 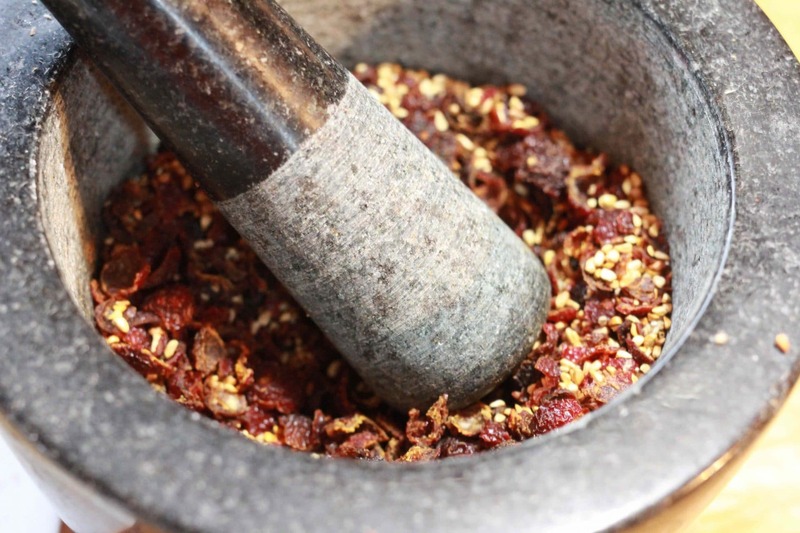 Put your dried rosehips in a mortar and pestle. You can also use a food processor but pulse carefully. Avoid a fine grind. You want the hips to remain chunky. This stage breaks up the hips from the hairs and seeds. 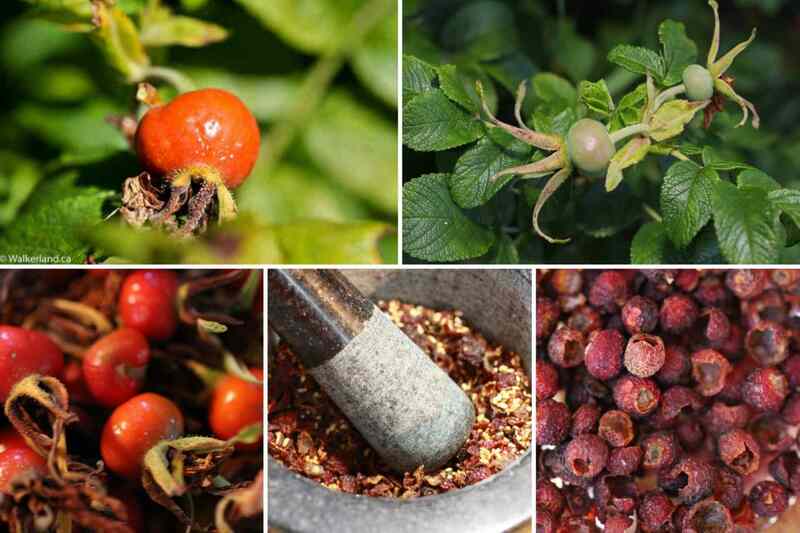 It can help to lay a tea towel or dish cloth over the rose hips when you are pounding them, this will prevent them from flying out of the bowl. Pour the crushed rose hips into a sieve and shake, shake shake. The hairs and some seeds will fall right through leaving behind the dried rose hips and some seeds. The seeds are fine. It’s the hairs you are wanting to be rid of because they can be very irritating to the throat. Here is a closer look at the hairs. I’ve saved a jar of this to see if I can use it as a slug deterrent. When you handle the hairs they can make your skin really itchy. 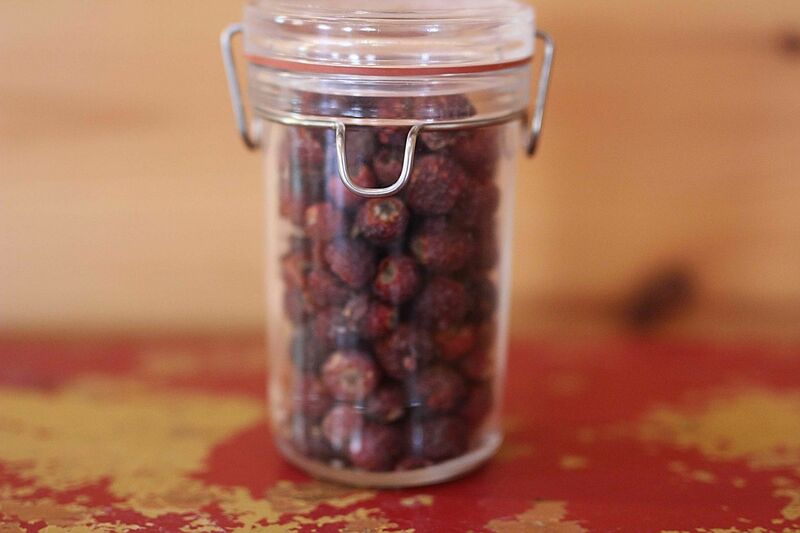 Store your dried rose hips in an air tight container, I simply place them in a mason jar. Store in a dark cupboard or at least out of direct sunlight. Sometimes I store them dry and whole and crush them later when I have more time. 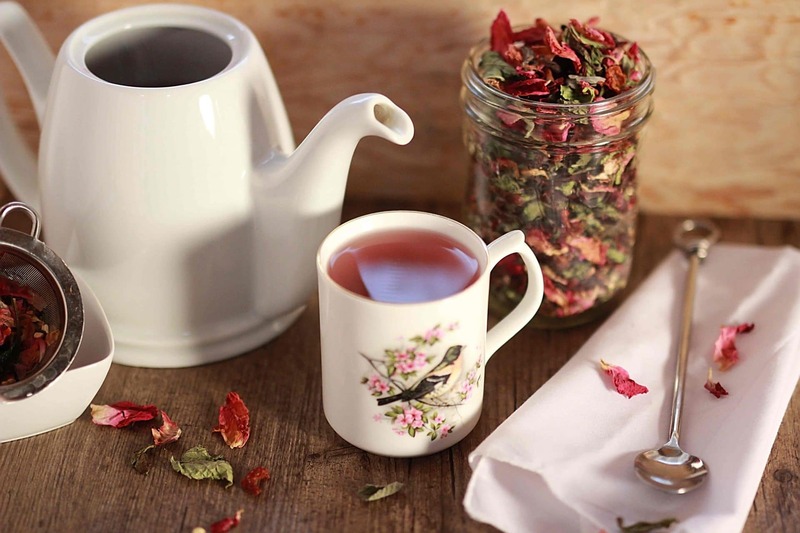 Our favourite way to use dried rose hips is in tea. We mix a blend of dried mint, rose petals and hips. Sadly we live in a world where chemicals are frequently sprayed on plants and roses are no exception. 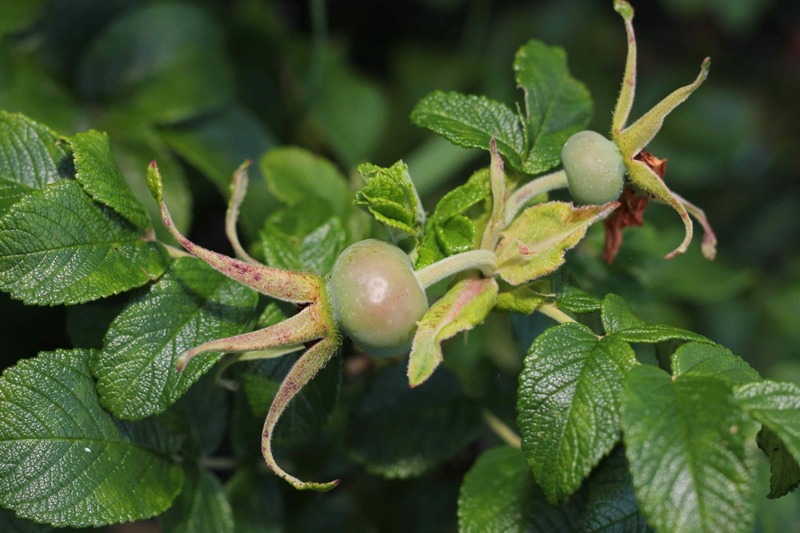 If you are gathering rose hips from outside of your own property always be sure that you are collecting from plants that have not been sprayed with chemicals! This post originally appeared on steemit.com. You can find the original post here. In Sweden we make a hot or could soup (or thick drink) of rose hip. It is delishious. That sounds really interesting! I’ll have to try it this Autumn. I’m making this now! Just picked basket fulls and will dry some for tea as well as make a puree to use for soups. How did the hairs work for a slug deterrent? Here in Sweden we had a very good slug year, almost none, so it wasn’t an issue, but some years they are soooo many. I am so glad you didn’t have issues with slugs – that is wonderful! I honestly forgot to give it a try. I completely forgot that I had saved some of the hairs to try as a slug deterrent. I still have that jar of hairs sitting in the cupboard …I suppose there is always next year to give it a try. Thanks for the reminder. I hope you enjoy your rosehips!